The basic structure of human body is skeletal system. The entire body is built around the hard framework of Skeleton. At birth around 270 bones are present, by adulthood this total decreases to around 206 bones when bones merge together. About the age of 21 the bone density within the skeleton achieves its full density. The axial skeleton is created by the vertebral column, the rib cage, the skull and other associated bones. The appendicular skeleton, which is connected with the axial skeleton, is created by the shoulder girdle, the pelvic girdle as well as the bones of the upper and lower limbs. Occipital bone, two temporal bones, two parietal bones, the sphenoid, ethmoid and frontal bones. Vomer, two nasal conchae, two nasal bones, two maxilla, the mandible, two palatine bones, two zygomatic bones, and two lacrimal bones. It contains 24 ribs that are made of 12 pairs, 12 ribs each side. Pectoral girdles (4 bones) – Left and right clavicle (2) and scapula (2). Arms and forearms (6 bones) – Left and right humerus (2) (arm), ulna (2) and radius (2) (forearm). Hands (54 bones) – Left and right carpals (16) (wrist), metacarpals (10), proximal phalanges (10), intermediate phalanges (8) and distal phalanges (10). Pelvis (2 bones) – Left and right hip bone (2). Thighs and legs (8 bones) – Left and right femur (2) (thigh), patella (2) (knee), tibia (2) and fibula (2) (leg). Feet and ankles (52 bones) – Left and right tarsals (14) (ankle), metatarsals (10), proximal phalanges (10), intermediate phalanges (8) and distal phalanges (10). Support: The skeleton acts such as the structural framework for the body by supporting soft tissues as well as giving connection points for the tendons of majority of skeletal muscles. Protection: The skeleton guards the majority of vital interior organs from injury. 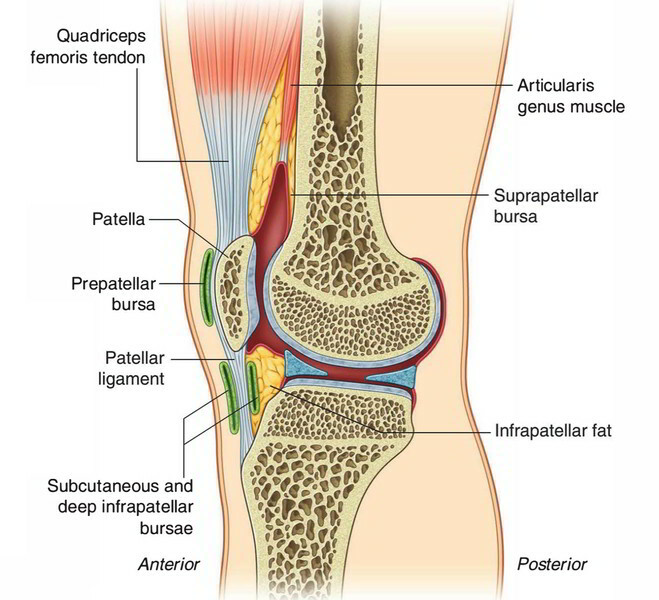 Assistance in movement: Mainly skeletal muscles connect to bones; as soon as they contract, they produce movement by pulling on the bones. Mineral homeostasis (storage and release): Bone tissue stores numerous minerals, particularly calcium and phosphorus, which add to the strength of bone. Bone tissue stocks around 99% of the body’s calcium. Bone discharges minerals within the blood for sustaining vital mineral equilibrium (homeostasis) as well as for supplying the minerals towards other parts of the body. Blood cell production: Inside specific bones, a connective tissue known as red bone marrow creates red blood cells, white blood cells, along with platelets, in a process named hemopoiesis. Red bone marrow contains maturing blood cells, adipocytes, fibroblasts, as well as macrophages inside a linkage of reticular fibers. It exists in growing bones of the fetus as well as in some adult bones, like the pelvic bones, ribs, sternum, vertebrae, skull, and tips of the humerus along with femur. In a baby, total bone marrow is red and is engaged in hemopoiesis. With growing age, the majority of the bone marrow turns from red to yellow. Triglyceride storage: Yellow bone marrow contains mostly of adipose cells, which stock triglycerides. The stockpiled triglycerides are a latent chemical energy backup. 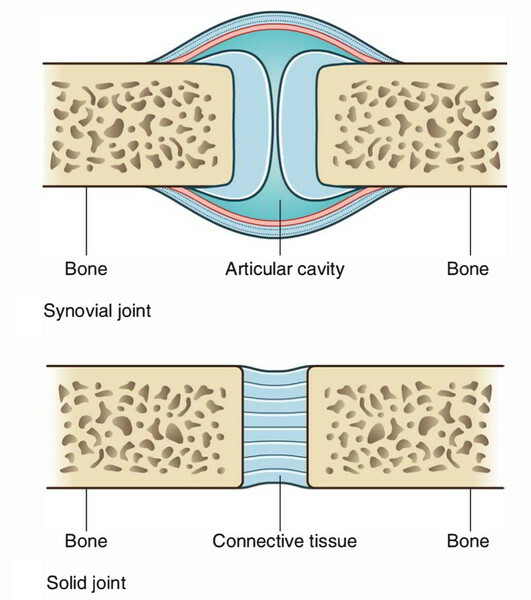 Bone: It is made up of collagen and calcium phosphate, a mineral crystal, and is a type of mineralized connective tissue. Bones get their hardness from Calcium phosphate. Bone tissue can be compact or spongy. Bones give structural support and protection for body organs. 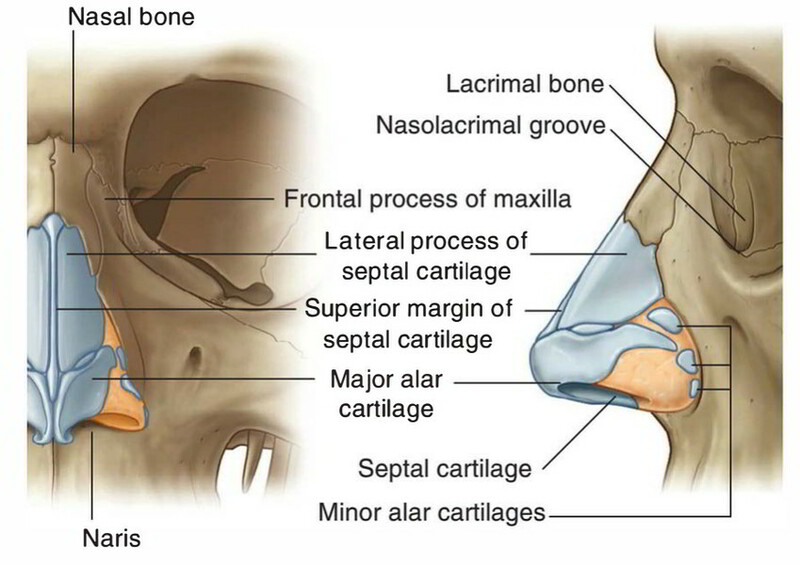 Cartilage: it is composed of compactly filled collagenous fibers inside a rubbery gelatinous substance called chondrin and is a type of fibrous connective tissue. Cartilage gives flexible support for certain structures in adult humans including the nose, trachea, and ears. Tendon: It is bonded to bone and connects bone to bone and is a fibrous band of connective tissue. Ligament: a fibrous band of connective tissue that joins bones and other connective tissues together at joints. Joint: a location where two or more bones or other skeletal components are joined together. Compact bone is dense bone that creates the outer covering of all bones as well as surrounds spongy bone. Spongy bone consists of spicules of bone surrounding cavities having blood-making cells (marrow). Long bones are tubular (e.g., humerus in upper limb; femur in lower limb). Short bones are cuboidal (e.g., bones of the wrist and ankle). Flat bones consist of two compact bone plates separated by spongy bone (e.g., skull). Irregular bones are bones with various shapes (e.g. bones of the face). 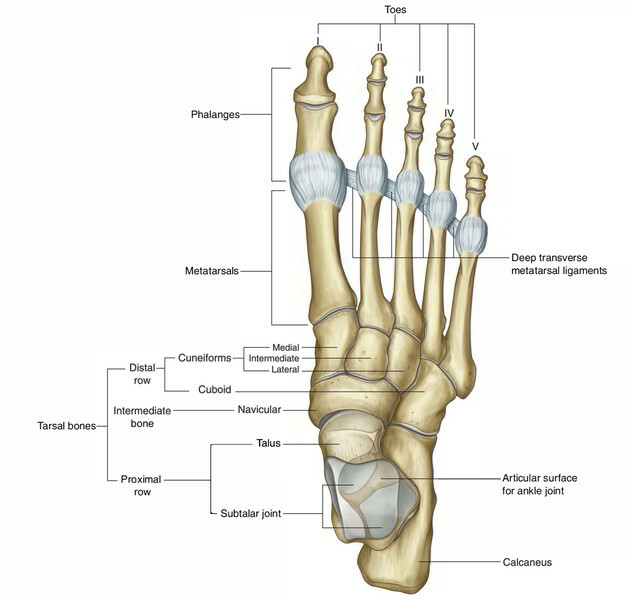 Sesamoid bones are round or oval bones that develop in tendons. Provide a smooth, sliding surface for bone articulations at joints. Enable the development and growth of long bones. Hyaline: most common type in which the matrix contains a moderate amount of collagen fibers (e.g., articular surfaces of bones). Elastic: matrix contains collagen fibers along with a large number of elastic fibers (e.g., external ear). Fibrocartilage: matrix contains a limited number of cells and ground substance amidst a substantial amount of collagen fibers (e.g., intervertebral discs). The skeletal elements are separated by a void (i.e., synovial joints). There is no void and then the components are connected via a connective tissue (i.e., solid joints). Blood vessels which traverse a joint as well as nerves which innervate muscles working over a joint usually give articular branches towards that particular joint. A tendon usually links muscle to bone and is able to endure strain, and is a tough strap of fibrous connective tissue. Tendons and ligaments both are created by collagen. Ligaments join one bone to another bone, while tendons connect muscle to bone. A strap of dense normal connective tissue packs made of collagenous fibers, by bundles secured via condensed rough connective tissue coverings. 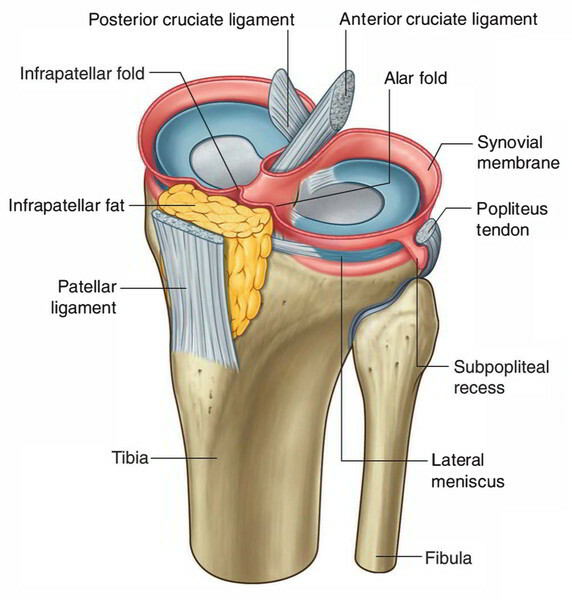 Ligaments join bones to other bones to form joints; however tendons join bone to muscle. Certain ligaments restrict the movement of articulations, or prevent certain activities completely.